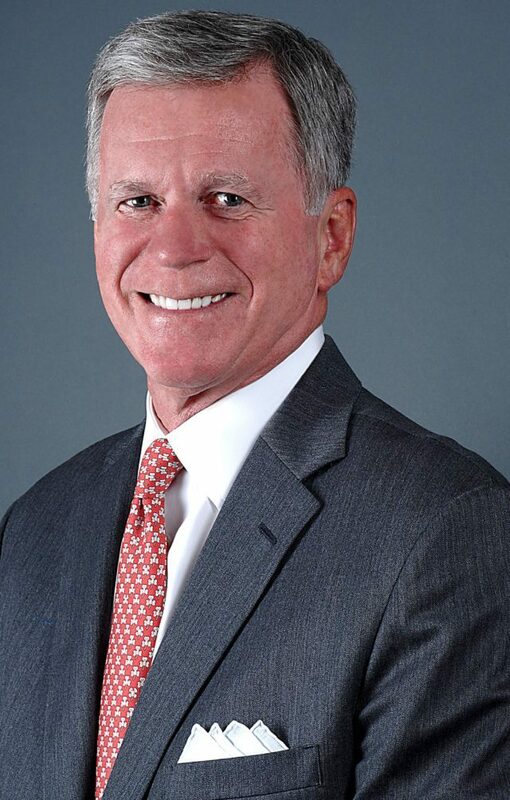 Retired banking executive Bob Muehlhauser from Pleasanton, CA, Class of 1968 and a member of Sigma Chi fraternity, will receive a Westminster College Alumni Achievement Award on Saturday, April 13, during the College’s Alumni Weekend. Muehlhauser retired as Executive Vice President of Bank of America and Managing Director of Banc of America Securities after an impressive career in global corporate and investment banking. During his career he has also had responsibilities for strategic planning, marketing, and client management. Muehlhauser joined the Westminster College Board of Trustees in 2000 and was Board Chair from 2011 to 2013. He was awarded the Distinguished Trustee Award in 2015 by his fellow Trustees in recognition of his leadership over six years as a board officer. In addition, Westminster awarded Muehlhauser an honorary doctorate in 2014. The Association of Churchill Fellows with America’s National Churchill Museum elected Bob as a Churchill Fellow and he currently sits on the Executive Committee of the International Churchill Society in Washington, D.C. and is Trustee Emeritus of the San Francisco Zoological Society. He has also been an advisor to the Wallace H. Coulter Foundation. The Alumni Achievement Award is presented annually to alumni whose accomplishments reflect the Westminster mission and have distinguished themselves through personal achievements, professional achievements and/or have made significant contributions to society. Muehlhauser will receive his award at a special Alumni Honors Convocation Ceremony to be held at 10:30 a.m. on Saturday, April 13, in the Church of St. Mary the Virgin, Aldermanbury. The award is approved by both the Alumni Council and the Board of Trustees. Up to six alumni can receive the award annually.